Worked as a spinner at Wingates Mill until it closed and then at Great Lever Spinning Mill. 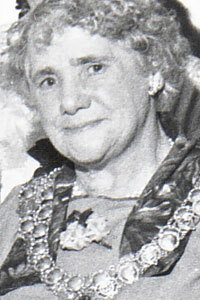 A member of the Labour party from her youth, she became Chairman of the Women's Section in 1945 and then as Chairman of the Party from 1958 until 1961. Represented South Ward from 1947 retiring in 1968. Methodist - she was associated all her life with Daisy Hill Methodist Church.